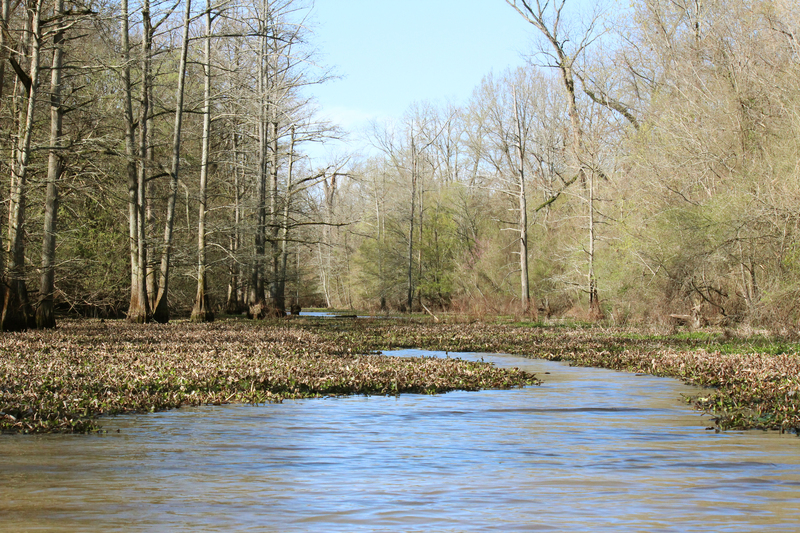 I finally got a chance to explore Arkansas Post by boat at it's annual Spring Bayou Float. 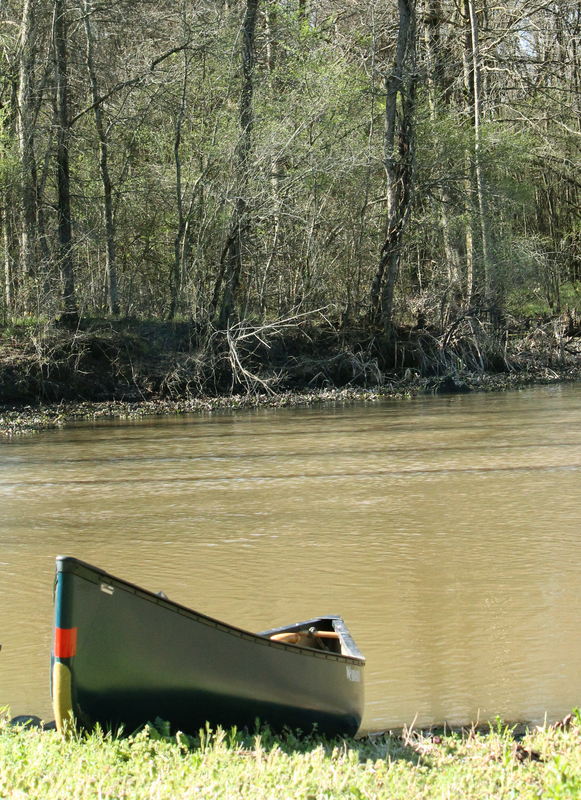 We started at Moore's Bayou and eventually ended up on the Arkansas Water Trail. It was a pretty awesome trip — I loved it. 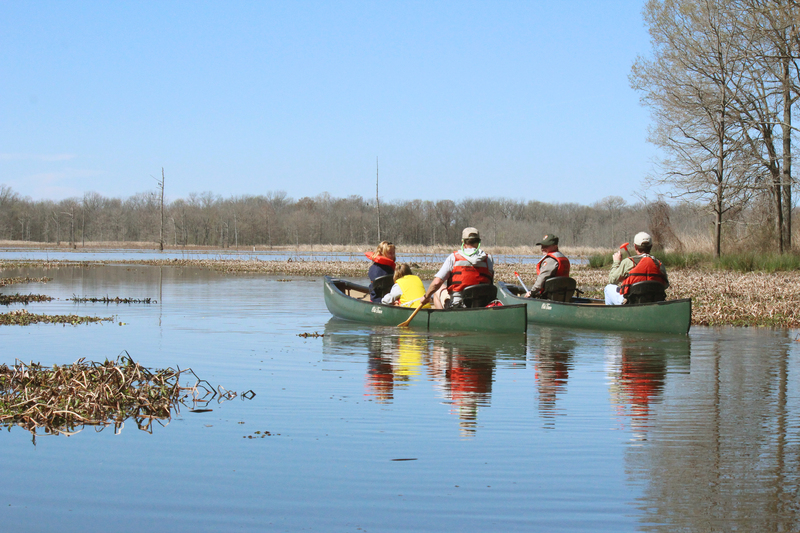 More importantly, I didn’t totally ruin my months-old camera like I feared I would when I first unsteadily got into my canoe for the annual Arkansas Post National Memorial spring bayou float. Park rangers talked the float up beforehand saying “see Arkansas the way explorers like Marquette and Joliet did, from the bow of a canoe.” I’ll admit, I couldn’t resist. First, they must have had some muscle because pushing through the debris, both natural and man-made, was tough at times. Our seven-person group began at Moore’s Bayou (which you have to pass to get to Arkansas Post) and worked our way north. We were fine for a while – I got to take pictures, watch for wildlife and silently plead for the ducks and American Coots up a head of us to just slow down so I could get a good picture. However, we were finally halted by four or five logs that blocked our path completely. We might have still made it by if the water was just a little higher, however, the water level was just too low to get past the logs. So, we headed back south past the Moore’s Bayou boat ramp and into Arkansas Post territory. Our list of animal sightings grew as we went — we passed a beaver’s dam (hut? 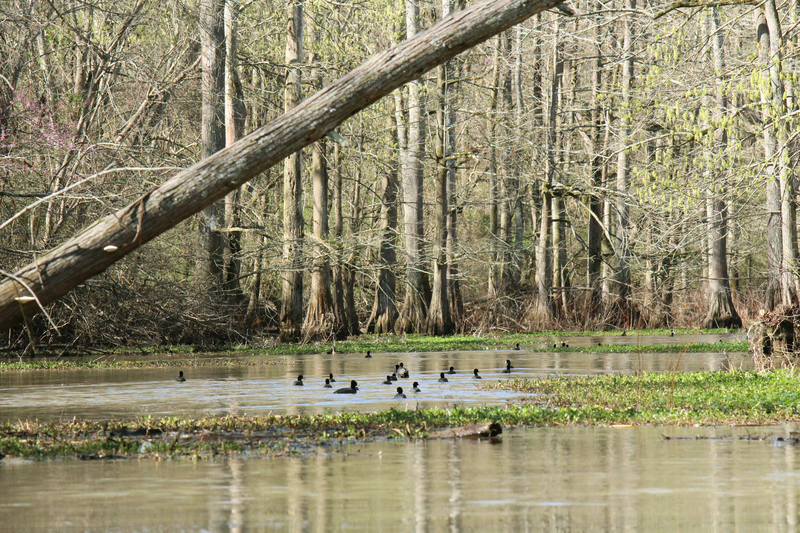 ), nutria and a mated pair of Bald Eagles that use a local nest annually. 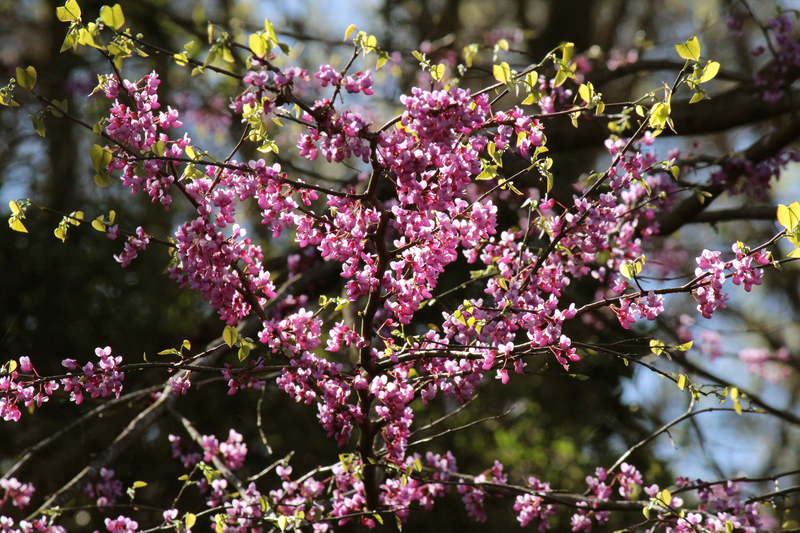 The two children of the group — sisters age 7 and 9 — were enchanted. They were more excited, though, to see an American Alligator. Unfortunately, we only got to see the gator’s backside. Still, it was a pretty great adventure overall for a free two-hour event. I’m now counting down until the next float — a late fall bayou float that will be given in the afternoon since it’s during duck season. Woo hoo!